This article first appeared in Personal Wealth, The Edge Malaysia Weekly, on July 17, 2017 - July 23, 2017. Ida Faranina Othman, who is better known as Nina, realised something was amiss when her two sons — then aged six and four — came to her one day and demanded that she buy them wheeled heel sneakers. She had just given birth to her third child and was taken aback that her children did not realise that the family was having a tough time financially. She observed that such requests tend to stem from a sense of entitlement. So, she put her foot down and told them that the only way they were going to get the shoes was by earning their own money. The founder of Grow the Goose, which runs money management programmes for children, says the episode made her realise the importance of raising financially responsible children. After all, according to the Malaysian Financial Planning Council, some 22,663 Malaysians under the age of 35 had been declared bankrupt between 2011 and September 2015. “You would be surprised to learn that even the children of pretty affluent parents in urban areas do not have a savings account. You would think that they would be teaching their children to have a better grasp of their finances, but that is not the case,” says Nina. The Malaysia Human Development Report, commissioned by the United Nations Development Programme, found that 53% of local households have no financial assets while one in three Malaysians have no banking or financial accounts. To teach her two older children the value of money and the difference between needs and wants, Nina encouraged them to think how they could earn enough to get their sneakers. “They wanted to sell fried chicken like Mail in the television series Upin & Ipin. Mail is a business-minded boy who loves to try and sell anything he can with his ‘dua seringgit’ trademark deal. But I said no as fried chicken is unhealthy. “Then, I remembered that I had a friend who made healthier versions of chicken and lamb sausages. I bought some on a consignment basis and the children started selling the sausages. “I helped by creating posters and putting them up on Instagram and Facebook while my husband went with them to deliver the sausages. We were shocked when they earned enough to get their wheeled heel sneakers in just two weeks. Recognising the need for such a programme, Nina responded by saying she was working on the modules. Then, she came up with the name Grow the Goose, derived from the classic children’s tale, The Goose That Laid the Golden Eggs, from Aesop’s Fables. In February 2015, Nina launched her first Grow the Goose programme for the children of family and friends. 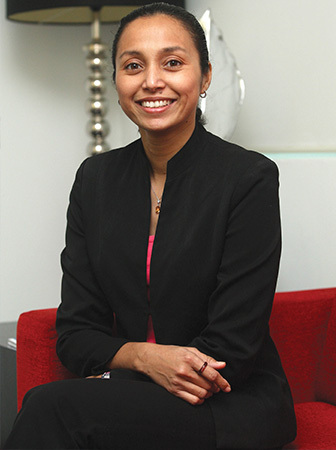 Today, in addition to running programmes in schools, she works with banks such as Hong Leong Islamic Bank, where she conducts workshops for its clients’ children under the bank’s Junior Savings Account Campaign. 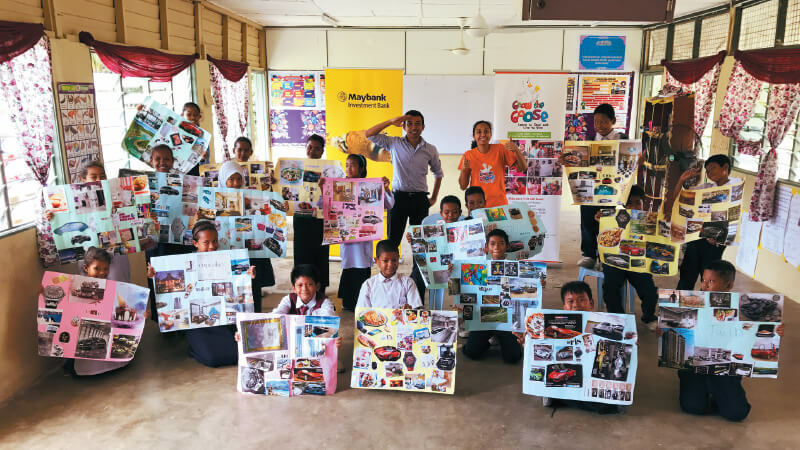 Maybank Investment Bank engages her services for its Sustainability Programme — Empowerment & Enrichment sessions for Orang Asli children in Banting, Selangor. Nina says parents recognise that they need to teach their children the importance of financial management. “But they tend to overcompensate by going the extra mile to fill the void they think their children are feeling due to their absence. What they do not realise is that if children fail to get quality time, they turn to money as the next best substitute. Nina believes that children also need to learn how to give as this instils in them the importance of a healthy and balanced financial life. She says this was a lesson she learnt from being an entrepreneur for most of her life. Even before setting up Grow the Goose, she had witnessed how brutal the world of entrepreneurship could be. “It is a dog-eat-dog world out there. So, I wanted to change this and create future entrepreneurs who are empathetic and compassionate. Only if you learn to give do you learn to live,” says Nina. “We basically teach children about habits, and the best age to inculcate habits is between 8 and 14. We teach them how to save using money jars. There is the Goose Jar, which is for money you do not touch until you are 18, and the Learn Jar for improving your knowledge and skills. The Fun Jar is for money you use to reward yourself and the Give Jar is for donations. There are three programmes. Be Bagoose is a full-day workshop where children are taught the value of money, the money savings system and the importance of gratitude and giving back. It focuses on their financial being, says Nina. Through Biz BaGoose, she teaches children the basics of earning their own money by encouraging them to become social entrepreneurs. She imparts behavioural development, the right attitude, skills and knowledge needed to run a social enterprise. Each programme costs RM300 per participant. Parents who wish to have their children participate in an extended version of the two programmes can send them to Camp Bagoose during the school holidays. In the four-day programme, which costs RM750 per participant, they are given the opportunity to explore and experiment with their talents and interests. Nina says she uses a “without a box” approach during the lessons so that the children tap into their inherent characteristics and skills. She has conducted the programme for about 1,000 children so far. “Many of the children look at me strangely when I tell them to remove their shoes and walk on the grass as most of them do not know how to — they have never done it before. I have had eight-year-olds who do not know how to wash up after themselves, nine-year-olds who have never touched wood and have no motor skills, so much so that they cannot hold a pen because they have only used iPads, and 12-year-olds who weigh 120kg,” she says. Some of the Grow the Goose graduates have gone to establish their own businesses. 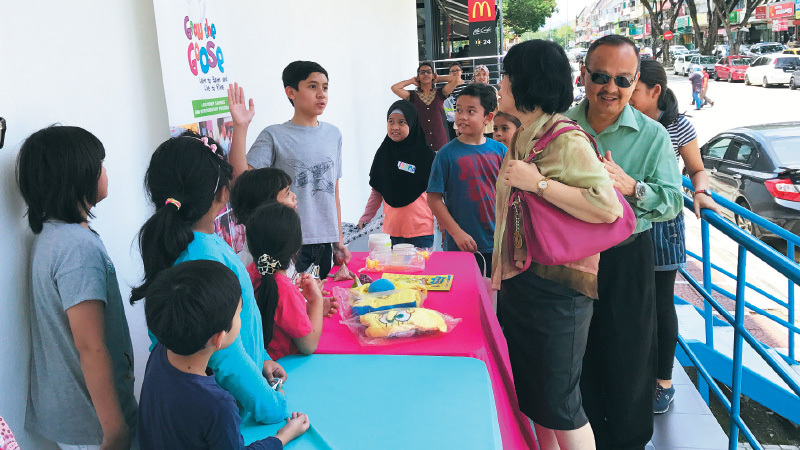 One of them is Wan Ahmad Asyraf, 9, who runs workshops to teach children to make airplane models. “When he first came to our programme, his parents told us that he was a stubborn child and would throw tantrums if he did not get what he wanted. But during the programme, he was exposed to orphaned children and that changed him,” says Nina. Another example is 11-year-old Natasha Edris Khoo, who fulfilled her dream of becoming an author. In March, she launched her book, Adventure to Wonder, which she both digitally illustrated and penned. She has made RM6,000 so far and dedicated a portion of her profit to Buku Jalanan Chow Kit. “We did not do any of these. They just grew organically. All we did was teach them the jar system and how to monetise their talents,” says Nina. She says the root of financial problems is the lack of exposure beyond the children’s immediate circle and parents who fall into the trap of peer pressure. “We have to stop making children feel entitled and tell parents that it is okay not to give their children everything. From my observation of children, I can tell you that they see money as a tool to fulfil their passion and purpose. “The problem is that they do not understand the value of money. If they understand the value of money and how hard it is to earn it, they will know not to live beyond their means.